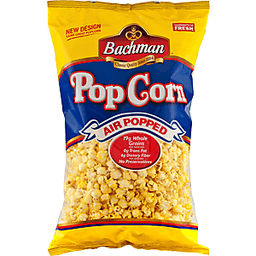 Bachman® Butter Air Popped PopCorn Guaranteed fresh. Classic quality since 1884. 14g whole grains per serving. 0g trans fat. No preservatives. "Please see back panel for information on fat and other nutrients". Bachman quality our guarantee: Family owned and operated, Bachman has a long tradition of creating the highest quality snack foods. We use only the finest ingredients and our products are always unconditionally guaranteed. 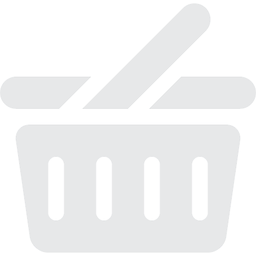 If you are ever dissatisfied, return the unused portion to the store where purchased for a full refund or satisfactory replacement or write us at 900 High Street, Hanover, PA 17331. Please include the name of the store where purchased, the price/code mark on the front of this package and the reason for dissatisfaction. This package is sold by weight. Some settling of the product may occur during shipment. Keep in a cool dry place away from light. Contains no hydrogenated fats. This is a gluten free food. Made in a nut free facility. 1-800-FOR-SNAX. www.utzsnacks.com. Nestled in the hills of Lancaster County, Pennsylvania, a lush expanse of cornfields blankets the nearby land. Drawing inspiration from our surroundings, we select only the sweetest whole grain kernels of corn for our delicious air popped butter popcorn. Bachman butter popcorn is hot air popped for the light, crispy crunch and then coated with a classic, melt-in-your-mouth butter flavor and just the right amount of salt. Settle in with your favorite movie or a good book, open a bag of Bachman butter popcorn, and enjoy. Bachman butter popcorn... Has 14g of whole grains per serving. Is wheat free and gluten free. Has no artificial preservatives. Did you know The USDA recommends consuming at least three servings (48 grams) of whole grains, like popcorn, each day. Whole grains are rich in dietary fiber and antioxidants because they contain the entire kernel: the bran, germ, and endosperm. 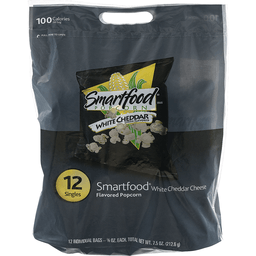 Popcorn contains carbohydrates, your body's #1 source of energy. Complex carbohydrates, like those found in whole grain foods, give you lasting energy and satisfy your hunger. PA Preferred™. Registered Pennsylvania department of agriculture.